Don't lose time or make mistakes. Get your Content Marketing Strategy off on the right foot. Content marketing must be part of EVERY CSO's or CMO's annual revenue strategy. Without it, your organization is falling behind and losing ground in the competition to gain market share. This Content Marketing Checklist can help. It isn't a how to. In many ways, it's better. It outlines WHAT has to be done. It asks the questions that need to be asked in order to make sure your content marketing strategy is a success. This eBook is divided into 8 critical parts of implementing a content management program. 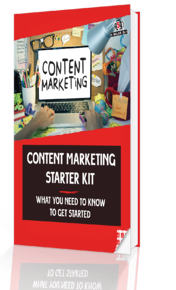 Each section provides the questions that MUST be answered to build a winning content marketing program.